Written by: Samuel W. Mitcham Jr. This is the strange and fascinating life of Erwin Rommel, from his days as a youth in Imperial Germany - when he had a child out of wedlock with an early girlfriend - through his lauded military exploits during World War I to his death by suicide during World War II, after he attempted a failed coup against Hitler. Rommel was a man of contradictions: a soldier who wrote a best-selling book about World War I, a commander who went from commanding Hitler's bodyguard to trying to kill him, and a serious military mind who was known for participating in practical jokes. 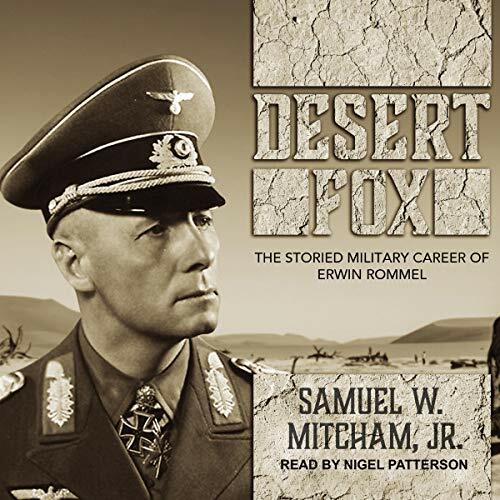 In Desert Fox, author Samuel Mitcham (Bust Hell Wide Open) confronts the truth about Rommel and takes a close look at his military actions and reflections.